How’s your Instagram aesthetic? If you’re like me, or the thousands of other users who have realized the social media site’s potential for displaying your artistic endeavors and eye for design, your profile is probably a carefully-cultivated piece of art all on its own. Now consider: you can get paid now just for having a great eye for art, and knowing how to apply that vision. Say what? 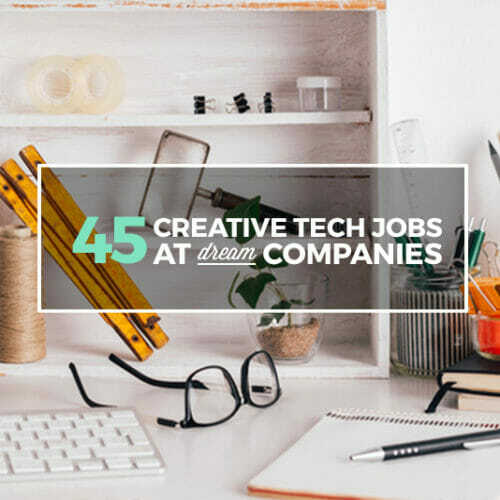 Your perspective and careful eye for color and layout are in demand in the tech world, especially if you have experience in coding, multimedia marketing, or art. Even if you don’t, you can still find a job that will pay you handsomely to create beautiful things. 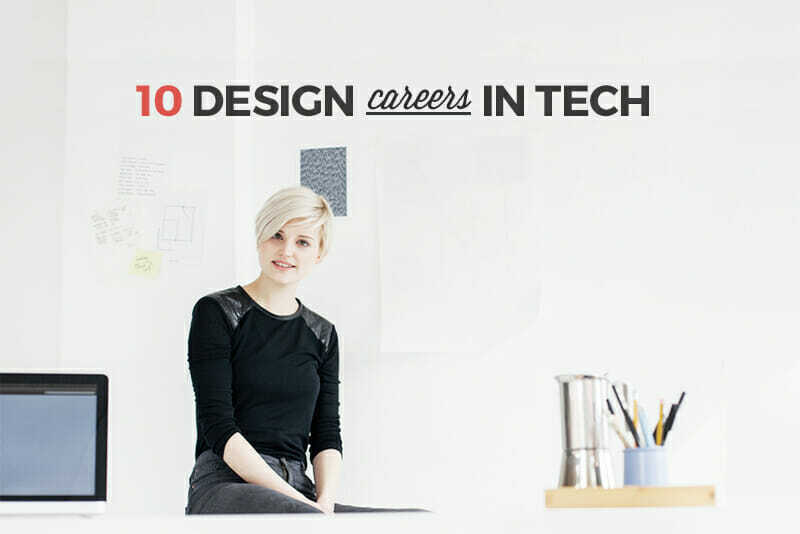 Design careers in the tech world range in skill set, type, average annual salary, job growth, and opportunity. 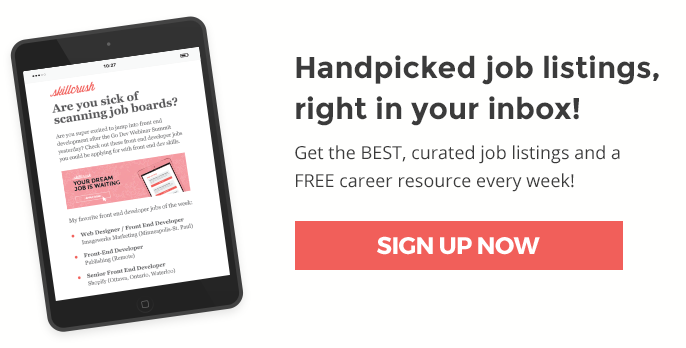 There are a lot to sift through for a newbie, so I’ve compiled a list of some of the most prevalent design jobs in tech, as well as some that are up and coming. 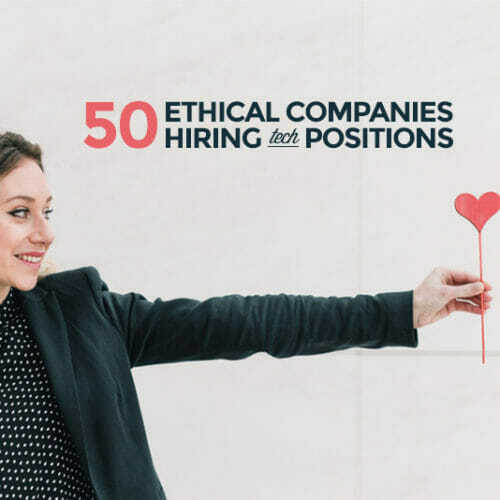 Below you’ll find ten job titles in tech design that you can hook into for the sake of happiness, personal growth, and financial gain. You’ll also find links to applications for jobs that are available in each field right now. The job of a web developer is to create a website that is specific to a client’s specifications including overall look and feel, as well as functionality and features. Depending on the company, the actual code writing is often completed by one person (the web developer) and the actual design of the site is completed by another person (the web designer) using programs like Photoshop. That isn’t always the case. Sometimes the whole process is lumped together under the job title of web developer (or web designer). In this role, you would be responsible for completing the whole site, from writing the HTML and CSS to editing graphics that complete the look of the site. Don’t fret if you can’t speak techy — Skillcrush has a totally free 10-day coding bootcamp to get you started! A more detailed list of the differences between web development and web design can be found here. Web developers are constantly learning on the job, and predicted growth in employment means you’ll never be without work. According to the US Bureau of Labor Statistics, web developers make an average of $65,000 annually and employment is projected to grow 27 percent by 2024. Quick! Make a list of the ten most memorable company logos you’ve ever seen. Now, consider how you would improve those logos. Would you change colors, text placement, fonts? Change an image here, add a symbol there? Visual designers are responsible for combining their artistic perspective with tech to develop concepts for everything ranging from logos and product designs to brochures, advertisements, and even websites. Visual designers utilize tools like the Adobe Creative Suite to illustrate and develop designs that their clients can use for consistent branding and name recognition. According to the anonymous crowd-sourcing site Glassdoor, visual designers make an average of $74,000 annually. Employment is currently stagnant and most visual designers are self-employed or freelancers, but don’t worry — visual design is a great launching point for any career and it also makes an awesome side hustle for when you need a little extra cash flow. If you’ve fallen for a promoted Tweet or Facebook ad and downloaded an app that was totally underwhelming, you are not alone. Oftentimes, hastily created and over-promoted apps can be glitchy or downright dysfunctional, lacking intuition or any kind of aesthetic cohesiveness. An app (or website) is really only as good as its designers. User Interface Designers create visual designs and craft interfaces for websites or mobile apps, focusing their attention on aesthetic appeal. They work closely with User Experience Designers, who focus on integrating all of the feature and design elements of a website or mobile app to create the best possible experience for the user. While these positions are different, they often work in tandem with each other and, much like web developers and designers, can sometimes see their responsibilities lumped under one job title. That leaves the entire user experience up to one person, which is a lot of pressure — but you’ll stay cool. Practice makes perfect. According to CNN Money, user interface and user experience designers make an average of $89,000 annually and employment is expected to grow 18% by 2024. Unless you’ve had your head under a rock, you’ve probably heard about Niantic’s new mobile app, Pokemon Go. If you’ve played it, you know that the app takes the digital game world of Pokemon and sets it in the real world. Users can “hunt” Pokemon in their own neighborhoods, collecting supplies at real-life locations and even snapping photos of Jigglypuffs and Eevees at their favorite diners. Augmented reality is a rapidly growing market, its potential only partially realized in Pokemon Go. As these technologies increase, job growth will increase as well. The goal of an augmented reality designer is to seamlessly layer the digital world with the physical one, providing an unparalleled experience for the user. Moving beyond gaming and entertainment, this technology could eventually be tailored to things like education and medicine. According to a 2014 Business Insider article, an augmented reality designer makes an average of $125,000 annually. Job growth statistics are harder to come by, giving the newness of the title and the rapidity with which the industry is growing, but assume that if you go into augmented reality design, you won’t be out of a job any time soon! Remember when we started this journey and I asked you about your Instagram aesthetic? Take your ability to frame individual photos and compile them in a cohesive, representative gallery-style format that draws in followers, then take that ability to an awesome new level. You may have the skills to be an art director already. As the chief design officer, chief creative officer, or art director at a company, you would be responsible for for the visual style of every component of that company. You would oversee the creation and development of the company’s website, social media profiles, digital content including emails and ads, physical products including brochures and news bulletins, and even little things like company business cards and letterheads. You would work directly with web developers, visual designers, and management to oversee the creation and execution of a visual style that helps the company turn a profit in its given field. According to Glassdoor, art directors make an average of $72,000 annually. Employment growth is slow, at only 2 percent, but as technology changes and creative officers become more involved, that prediction will likely change. Since their invention, video games have never gone out of style. As technology evolves, games are accessible on a myriad of devices including traditional gaming consoles, handheld consoles, mobile phones, desktop computers, laptop computers, tablets, e-readers, and more. Social media plays a huge role in spreading the word on hot new games, and for even the most casual gamer, there seems to be a dozen new options for play released every week. As a game designer, you would be responsible for creating the core of a game. You would set a theme, create a rulebook, establish characters and plot arcs when applicable, and cater the atmosphere for players. In some instances, you may even get to flex your writing muscles and create the dialogue for characters in the game. Usually, you are not required to do any actual code writing or programming as a game designer. Instead, you would be responsible for problem solving and thinking quickly on your feet, and predicting potential actions of game players and what the outcomes of those actions would look like in the game. It would flex all of your creative muscles in a fast-paced, challenging environment. According to Glassdoor, game designers make an average of $66,000 annually. Employment opportunity is predicted to grow about 6 percent in the next decade. Growing up, I saw tons of features on the Disney Channel about animators working for the media giant. At the time, I thought it would be ridiculously cool to draw cartoons and animate them. I realized very shortly that drawing page after page of the same character doing a slightly different motion in order to animate them later was too tedious for me. Once, we did a school project where we had to create a flipbook and I relied entirely on stick figures. It was a very choppy flipbook. But if you’re a talented artist who’s dedicated the time and attention to practicing that craft, this job is likely an awesome fit for you! You can hook into multimedia art and animation in a variety of ways because the field offers a lot of self-employment opportunity as well as positions in larger corporations. 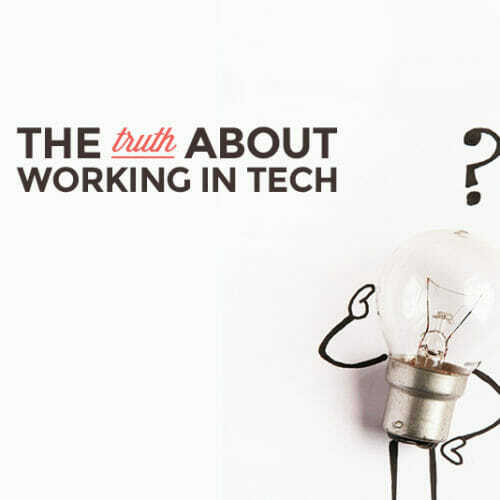 As technology has changed, so has the way multimedia artists and animators work. While traditional art is still very popular in the field, so is graphic art and computer animation. If you’re good at both, you’re even more likely to succeed. Multimedia artists and animators primarily create visual effects for games, movies, television shows, commercials, corporate videos, and more. As augmented reality becomes more prevalent and technology continues to expand, the market for good multimedia artists will continue to grow. According to the US Bureau of Labor Statistics, multimedia artists and animators make an average of $64,000 annually. Employment opportunity in the field is predicted to grow 6 percent by 2024, which is average for most fields. Remember when we talked about user interface and user experience and how it pertains to mobile design? People in those positions work their magic after a mobile designer has laid the initial groundwork for a new app. Mobile designers are responsible for creating apps that can be used on smartphones, tablets, and other portable technology that are responsive, beautiful, and easy to use. As a mobile designer, it’s up to you to tap into what consumers need to make their daily lives more efficient, as so many of them use their mobile devices for work. Alternately, it could be up to you to make consumers’ daily lives more fun and interesting by designing apps that keep their brains engaged and occupied when they’re not at work. The market for mobile designers is ever-expanding as our handheld technologies get smaller and smarter, so you need to be on your toes and ready to adapt to change at all times. According to Glassdoor, mobile designers make an average of $60,000 to $80,000 annually. The US Bureau of Labor Statistics predicts job growth of about 20 percent by 2024. Let’s face it: if the packaging on a product is ugly, inconvenient, or targeted at someone who isn’t you, you aren’t going to pick it up off the shelf. With online shopping as pervasive as it is today, it’s hard enough to get consumers to actually go to brick and mortar stores to make purchases in 2016. But there are still people (like me) who walk into Target, get distracted by all the cool colors and adorable packaging, and walk out having spent $70 more than they originally planned. Product and packaging designers hone their craft into not only enticing consumers but using their designs to get consumers to spend money. This job requires art skill, familiarity with assembly, and familiarity with current trends. You have to have an eye for color, pattern, layout, and be very attentive to detail. If I can buy a plain salt shaker for the same price as one that will stand out as a complementary piece in my kitchen, I’m going to go with the latter. Your job as a product and packaging designer is to make me want whatever you’re selling. Digital packaging design is also a niche in this job market — since online shopping is so big, both in the sense of popularity and options, how you present a product digitally makes a big difference in sales. According to PayScale, packaging designers make an average of $47,000 annually. Employment opportunity in the field is predicted to grow only about 4 percent in the next ten years, making it a highly competitive field. Don’t sell yourself short! 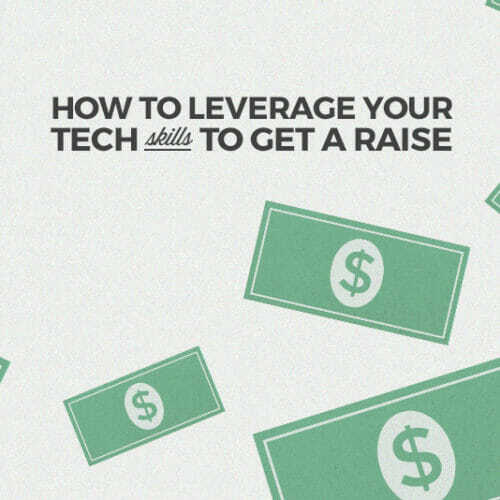 An eye for aesthetics is much-coveted in the tech world and your design skills can earn you more money starting right now. Apply for any of the jobs above or do a search on your own, but if you want to get into tech and you like design, there’s no better time than the present.